Felt is a company owned BY tennis players, making high-quality products FOR tennis players with a mission to use proceeds from every purchase to help a child in your local community, improve their life through tennis. Created by tennis players, for tennis players, our shirts fit well, are very comfortable, built for performance and hold up strong in the wash. Giving Local to Those in Need. For each shirt you purchase, you’re putting a racket into the hands of a child in need who lives in your local community. Learn more about how we give. 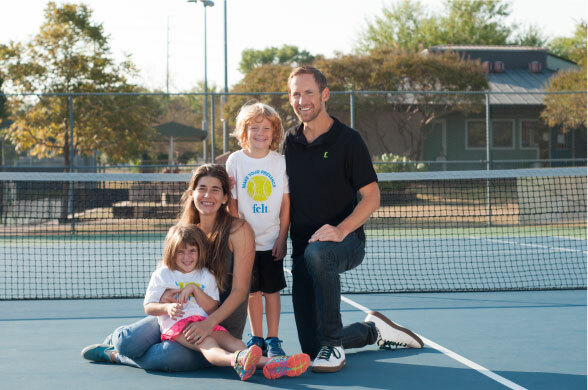 Felt was started by Grant and Melissa Chambers, longtime tennis enthusiasts who believe in the power of our sport to effect positive change in the world. Felt started on the premise that we typically don’t see a lot of great tennis t-shirts out in the tennis world. Look and feel great, on and off the court. Grant and Melissa Chambers are avid tennis enthusiasts who have spent most of their lives in the game including years of volunteer service, staff positions at their local CTA (CATA), USTA Texas (where they originally met each other) and numerous tennis facilities around Texas. Melissa played division 1 college tennis and Grant plays at the 5.0 level. These days, they spend as much time on the court with their 7 ½ year old daughter (Stella) and 9 year old son (Harrison) as they do themselves. Headquartered in Austin, Texas, we’re out to change the world. 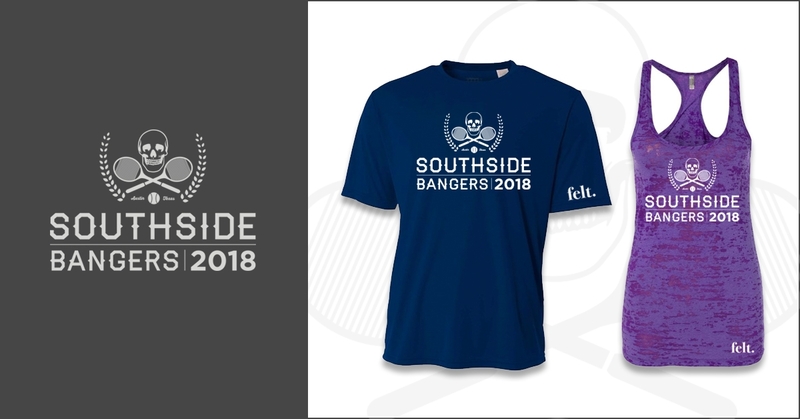 In the spring of 2017, Felt partnered with the Southside Bangers, a local group of league tennis teams founded by Scott Berens. Felt was able to write a check for $600 to the Capital Area Tennis Association, earmarked specifically for underprivileged junior development programs.